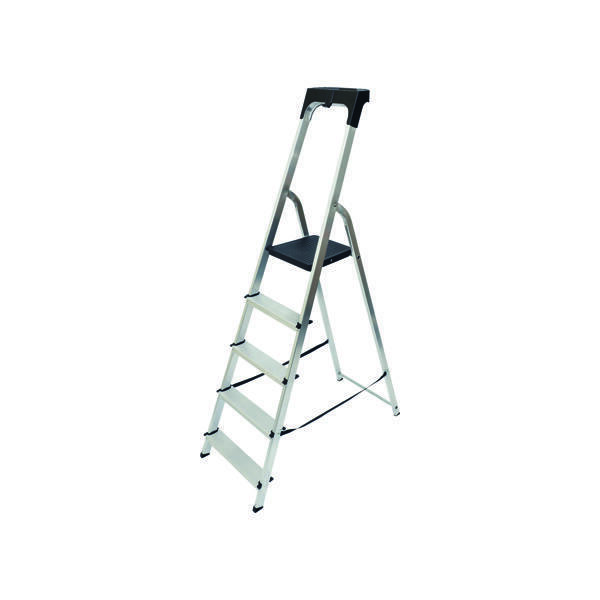 Designed to conform to British Standard EN131, this Abru High Handrail Step Ladder is built with your safety in mind. The 5 slip-resistant treads provide a secure footing when climbing and standing, and there's a two foot safety handrail for stability when working at height. This model includes an integral work tray that's perfect for keeping your tools and materials close at hand while you work.